St. Petersburg, Russia: November 23, 2011 – ASCON Group, a leading developer of high-performance CAD/AEC/PLM systems, is pleased to announce the release of KOMPAS-3D V13. 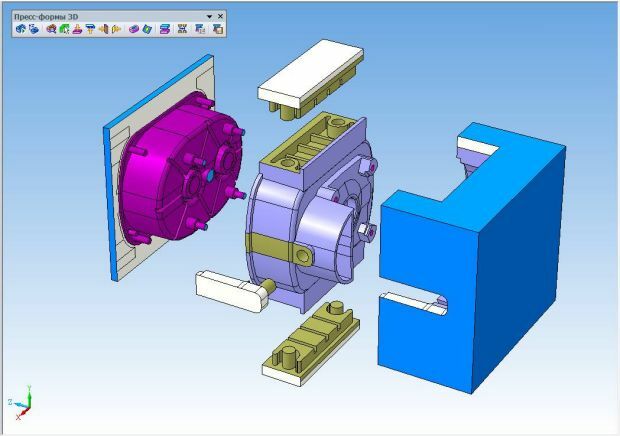 This professional mechanical computer-aided design system is distinguished by its powerful functions in the 3D and 2D design processes, a user-friendly interface, easy to learn features, and flexible collaboration with third-party software – all enhanced by reasonable pricing. This new release features more than 100 enhancements that permit customers to increase their productivity through better usability, simplified product development, and quicker design-to-product processes – with fewer errors along the way. KOMPAS-3D V13 allows you to specify arrays from data in a table. See the figure below for an example of this new technique. The construction of curves is refined with options for creating cylindrical spirals, filleting curves, and editing the shapes of spline by their vertices. Conical shells can be unfolded. Faces can be extruded and revolved without needing sketches. The smoothness of surfaces can now be verified visually through zebra striping. 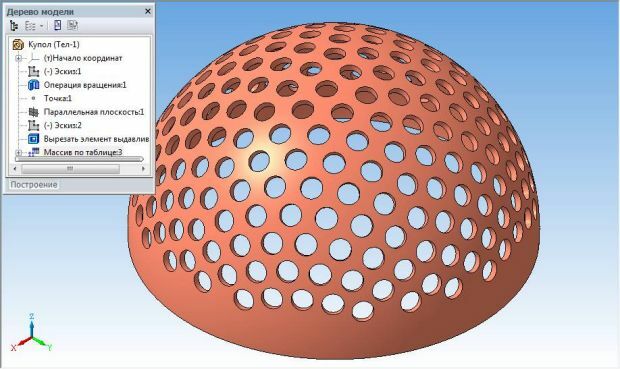 The new auto balloon function inserts balloon leaders automatically in 2D drawings, details, and 3D assemblies. Properties can now be assigned to drawings, views, details, and macro elements. The properties of object properties in models and drawings can be presented in reports. These report are associative, and can include properties of the model depicted by the drawing and its objects. Reports on graphic documents can be inserted in the document. 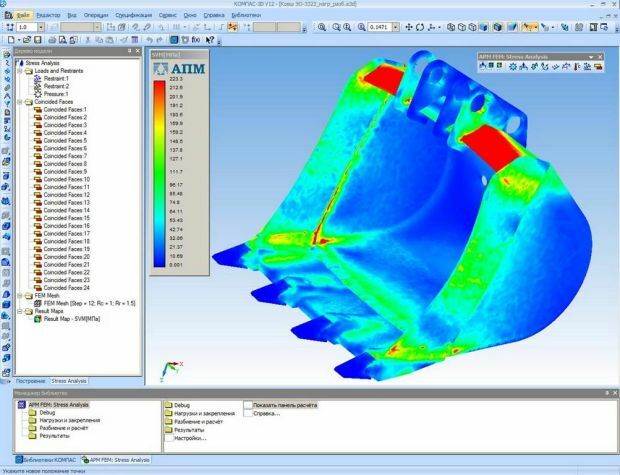 The new APM FEM (finite element methods) add-in is a fully integrated stress analysis solution that operates in a single window. 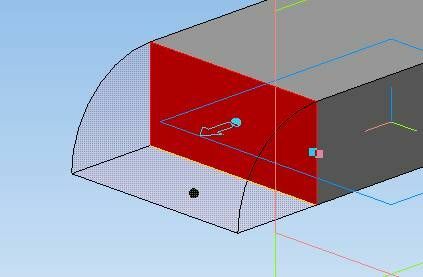 The new Mould and Die Design System is a powerful tool that increases the productivity of designers making moulds for the plastics industry. It increases design quality and therefore improves the competitiveness of companies producing these products. The new Dimensional Chain Calculation add-in places dimension chains in drawings and details. The new Welding Symbols library creates welding seam designations in drawings according to the standards specified by ISO 2553:1992 and DIN 22553-1997. The new Pack and Go add-in packages project documents to a single file or folder. The package file includes documents from KOMPAS documents and related programs. The package can be used to easily transfer project documents to other computers, be used for backups, to transmit files to clients, and so on. Files are saved so that they load correctly on the destination computer with KOMPAS-3D or KOMPAS-3D Viewer installed. KOMPAS-3D V13 is available now through ASCON’s worldwide network of value added resellers. Please contact them for additional details and the pricing. To locate one in your region, please visit: ascon.net/main/partners.